Not sure if this system is the right one for you? Use our PRE Design Tool Here to be certain! The SunWize Power Ready 270324 is a complete remote solar battery kit that contains everything you need to run a stand-alone DC load using solar energy. Similar to our Power Ready line of fully-assembled systems, but in a kit package, the Power Ready Express 270324 contains all pre-inventoried items, allowing us to quickly fulfill your order. 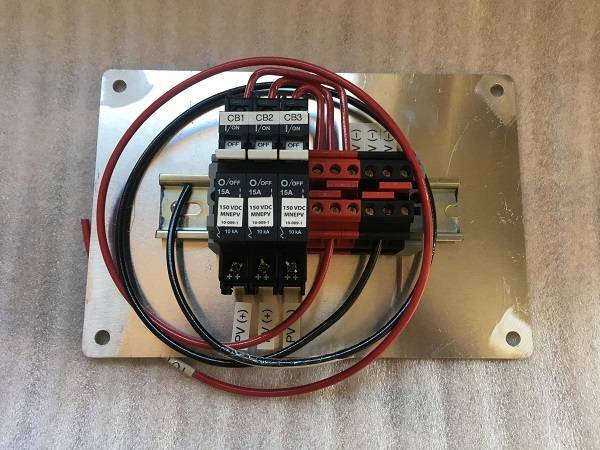 PRE kits feature a pre-wired and fully assembled control panel, requiring only simple array and battery connection terminations during installation. Speak to your sales executive to learn more about how SunWize can service your power needs! Wondering how SunWize solar systems are used? Visit some of the customers who trust our expertise and experience to power their devices! SunWize Power and Battery has developed the Power Ready Express line to provide standard system configurations through use of our pre-wired control panels. We are able to stock the standard control panels to reduce lead time, reduce custom engineering and provide you with a robust system with reliable components for a long-lived system. The SunWize Power Ready Express (PRE) product line uses the same high-quality components as our customized Power Ready solutions. We have developed a wide range of systems to cover most of the standard applications for remote power systems from 10 to 1200 Watts of solar array.